The Abuja FREE Internet Marketing Seminar held on Saturday, 19th August, 2017 was a super blast.We got good turn out as most of our customers and services users came to attend the seminar. It was revelation galore as we dished out the secret of internet marketing to the audience without dilution. The Abuja people couldn’t have enough of the training, they immediately asked us to come back. Therefore, if you missed the one we have done, you MUST not miss the next one coming on Saturday, 7th October, 2017. If you will like to be part of our FREE Internet Marketing Seminar, whether the one coming up in Lagos, Abuja and other places we often visit, click the link below now to secure your seat. Pictures of Seminar Facilitator, Gbeminiyi Oluwabusola speaking and assisting during the seminar. 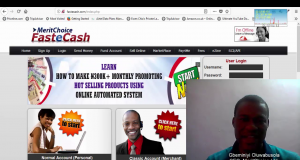 Previous: Are You Interested In Online Business Or Online Job?